Ah Brunetti, the famous dessert house on Lygon Street is always filled with people, especially on a breezy Summer night, which is when we visited. The large display of cakes, macarons, tarts, pastries, and every other Italian dessert you can think of, makes it so hard to pick just a few things. 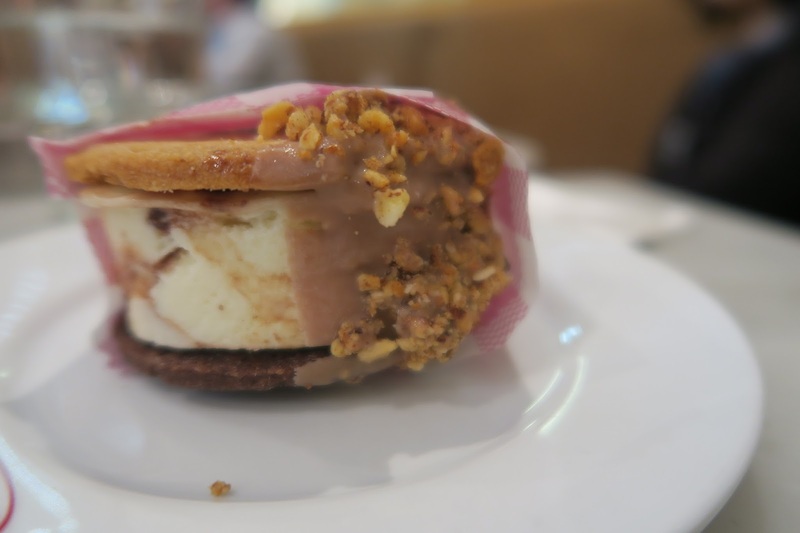 However, I had my eyes set on the ice cream sandwich this time. It was a no-brainer to pick the nutella one, since I’m as obsessed with nutella as just about 2104374912372 other people around the world. 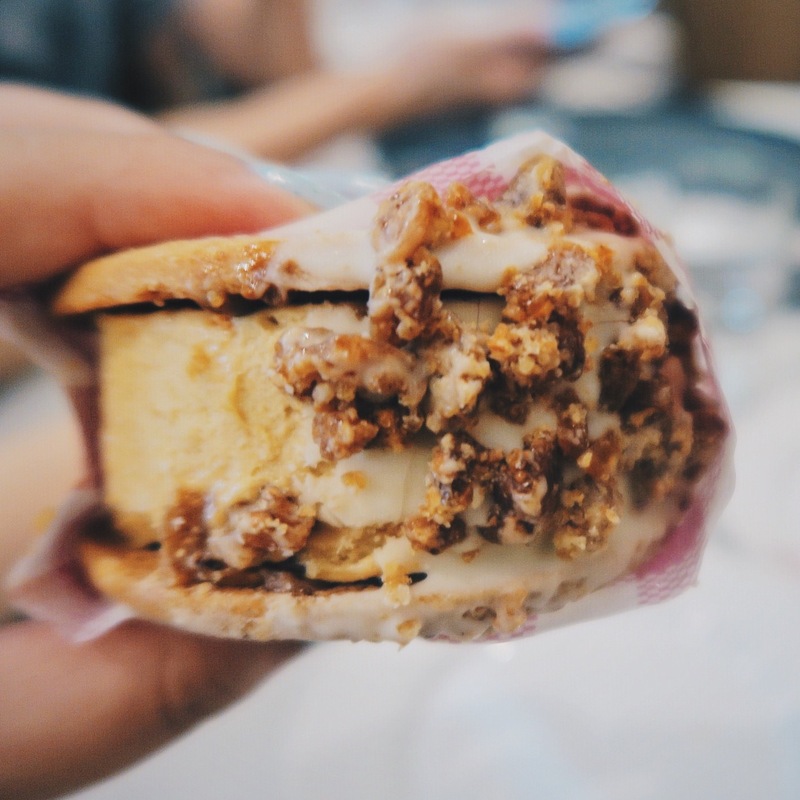 The biscuit was crumbly, and the ice cream was mostly vanilla, with a hint of nutella, and the nuts added some crunch to the whole thing. The salted caramel ice cream was had a much stronger flavour. The only one negative about these sandwich is that they’re so freaking hard to eat! Due to the thickness of the ice cream, it’s pretty much impossible to fit into your mouth. A knife and fork may come in handy! 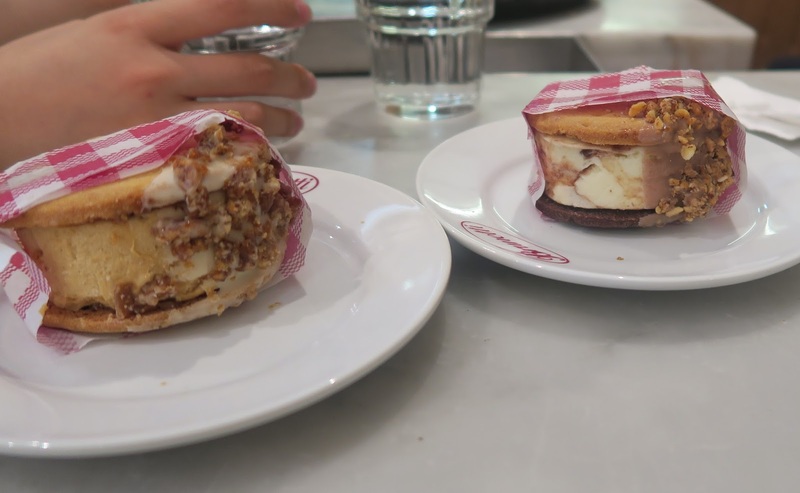 As I mentioned before, Brunetti has a large dessert selection, so if you ever feel like some dessert while wanting to keep your options open, Brunetti may just be where you want to visit. Brunetti is located on Lygon Street, catch any of the trams heading towards suburbs from Melbourne Central and get off at University of Melbourne, and Brunetti is a short five minutes walk away.